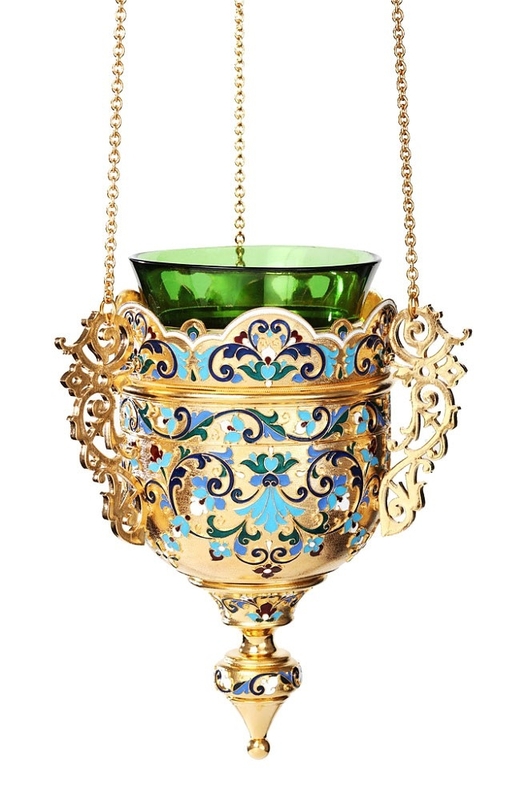 In need of a stunning vigil lamp to place in front of revered icons at your Orthodox Christian church or home? 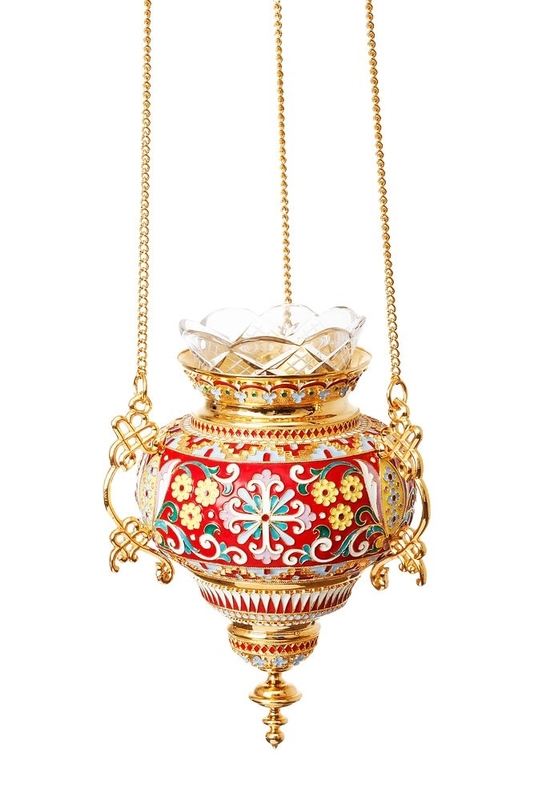 What could be better than premium handcrafted jewelry vigil lamps in traditional designs? Istok Church Supplies has more than a hundred pieces listed in this section, each one more exquisite than the other. 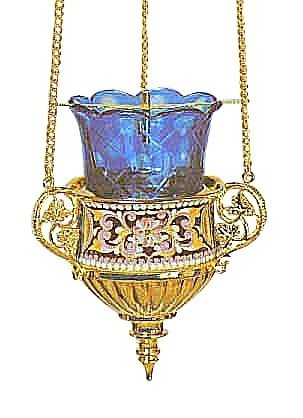 We offer jewelry vigil lamps in two styles – standing and hanging. 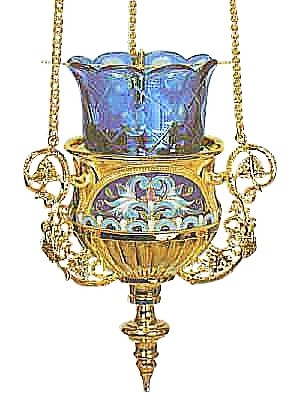 Standing vigil lamps are sturdy and can be kept on a stable surface whereas hanging vigil lamps come with three chains for and can be hung in front of an iconostasis or icon. 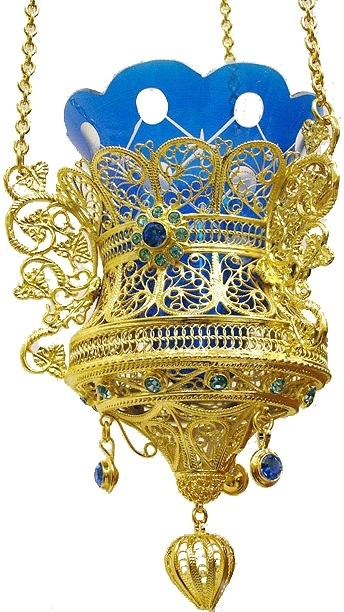 Each product is a unique creation, the result of painstaking labor and effort put in by our master craftsmen who understand Orthodox Christian liturgical art traditions very well. 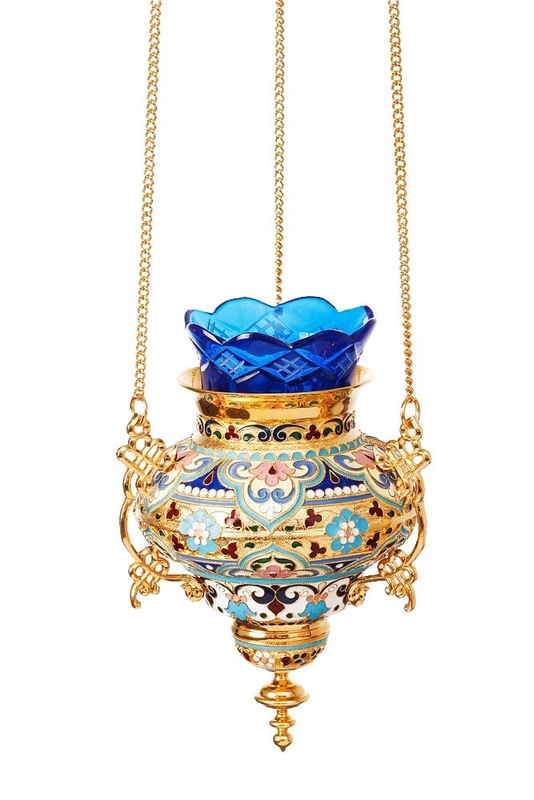 Customers can find jewelry vigil lamps made from different traditional materials such as copper and brass. 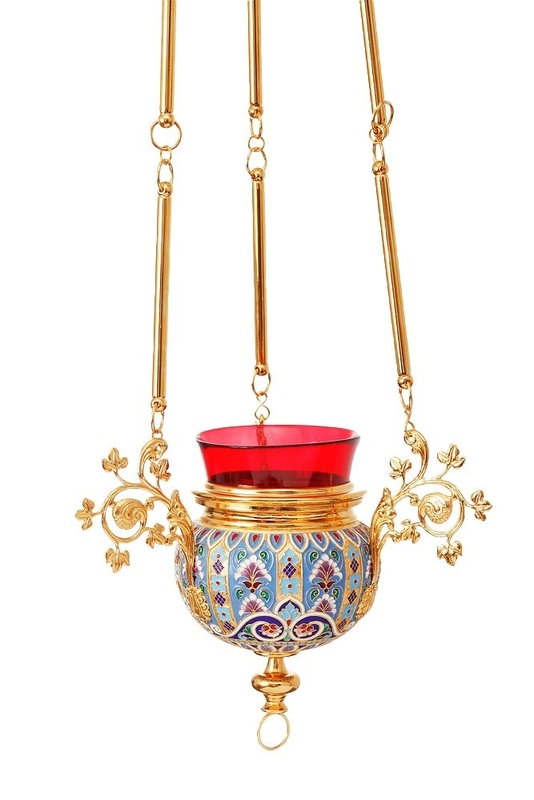 Brass jewelry vigil lamps feature durable twenty four karat gold gilding which elevates their appearance. 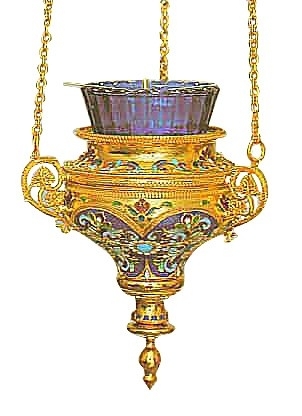 Copper jewelry vigil lamps feature high quality silver gilding designed to provide many years of service. 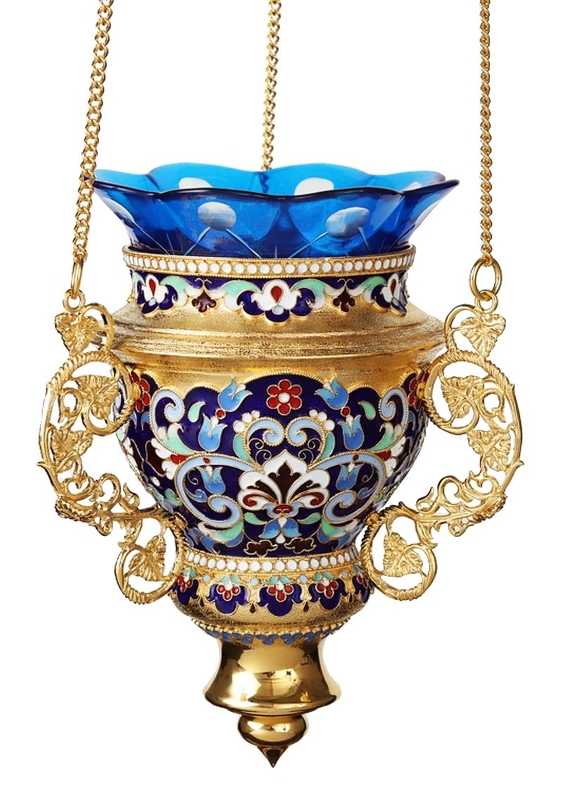 It’s the opulent artistic details that make our jewelry vigil lamps stand out. 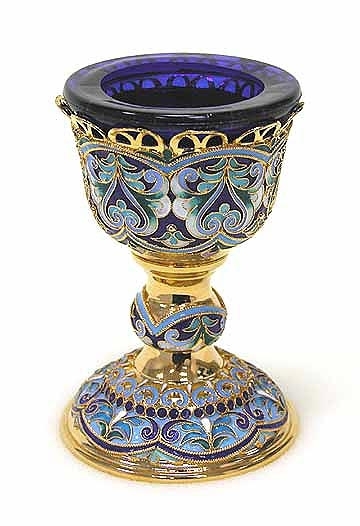 Many of our products feature exquisite filigree work that is hand carved to perfection and reminiscent of erstwhile glorious eras in Orthodox Christian history. You’ll also find many designs with finit stone inserts. 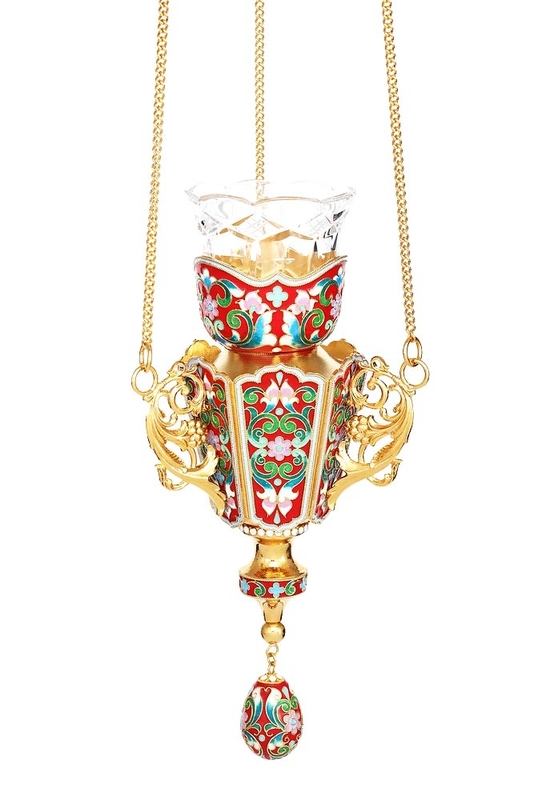 Beautiful enamel work also adds to the beauty of these exceptional items. When a colored glass votive glass is placed inside the lamp, the effect is absolutely mesmerizing. We offer special offers and discounts to make jewelry vigil lamps affordable – explore this fantastic collection and place your order as soon as possible!